The state of Louisiana sits between Texas and Mississippi on the Gulf of Mexico. The northern half of the state is comprised of hilly areas of prairie and woodland. The southern part of the state is dramatically different, consisting of low, flat swamps, marshlands and beaches. Winters in Louisiana are mild and short and summers are long, hot and humid. The climate, however, is great for outdoor enthusiasts and Louisiana is home to an enormous variety of activities and recreation that will satisfy the tastes of any group looking to host a youth camp or adult retreat. State Parks and Nature Centers– Louisiana is home to numerous parks and wildlife refuges where visitors can see flora and fauna found only in Louisiana: Tickfaw State Park, Bluebonnet Swamp Nature Center, Global Wildlife Park, and many more. New Orleans– The historic city is home to numerous religious sites like St Louis Cathedral and Lafayette Cemetery. There are also many unique museums and sites of historical significance in the famous French Quarter. Duck Commander– Stop by the iconic warehouse and check out where the duck calls and famous faith-based reality television show was made. Guided tours are available in which guests can learn about making duck calls, hunting and conservation. 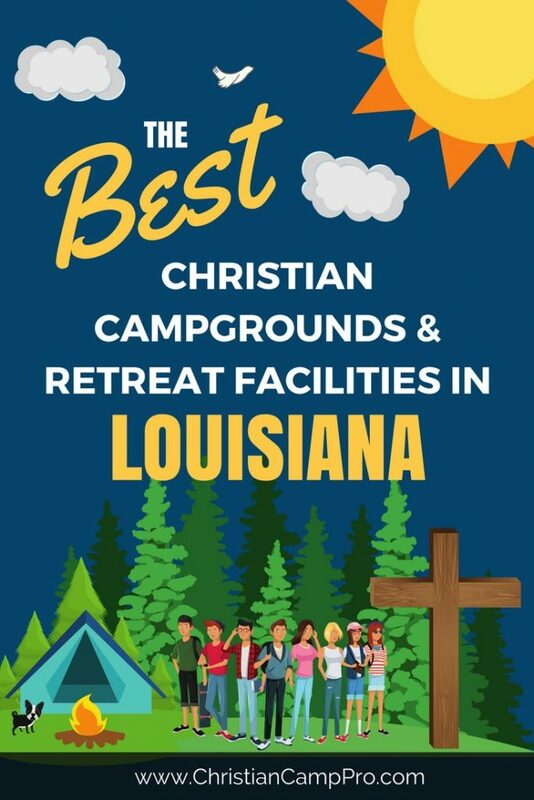 For groups looking for a place to host an adult retreat or youth camp, Louisiana is a great option. The unique landscape and ample warm months make it a great place to enjoy a wide variety of exciting activities. Louisiana is home to many one-of-a-kind adventures that are sure to delight and entertain groups all of ages and walks of life.